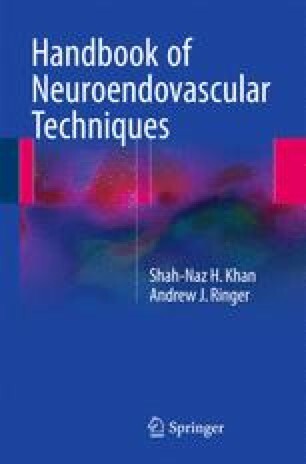 Pharmacological agents are crucial for safe and successful performance of neuroendovascular interventions. They have varied roles from prevention of embolic complications during procedure, lysis of clots, prevention of vessel occlusion after implantation of foreign body, to dilatation of arteries in spasm. Thorough knowledge of the drugs used during intervention as well as perioperative period is essential to ensure safe and successful treatment.